Founded on integrity. Built with pride. Quality workmanship and ethical business practices makes for a better customer experience. Our team has completed some of the more complex fabrication jobs in Northern Ontario and across Canada. Our success over the last 40 years is attributed to our pride in what we do. Felix Lopes Senior was a team builder who recognized that quality products came from detail-oriented individuals who work together with a project goal. Today, we continue to work with the same principles of integrity and passion in every aspect of our operations and believe that in order to be progressive we must continue to adapt to and invest in technology. Lopes was founded on the principle of integrity, hard work, and the dedication to deliver premium products of our labour. 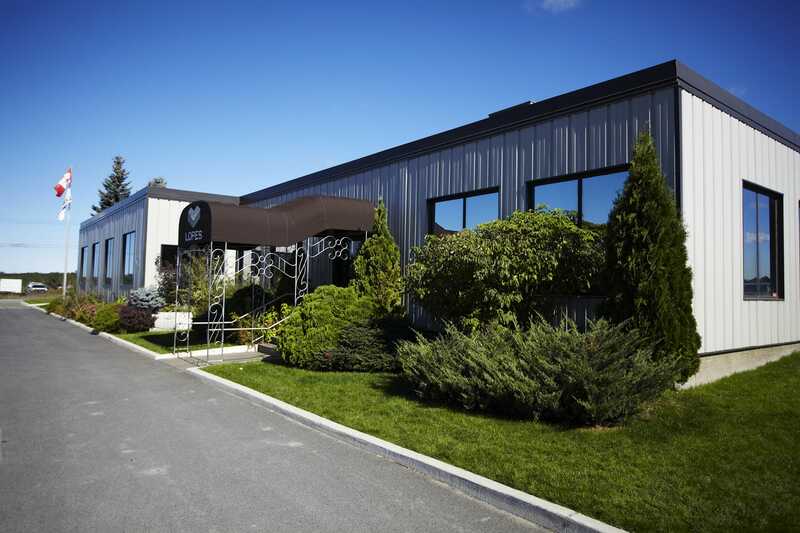 We’re headquartered out of Coniston in the city of Greater Sudbury, Ontario, Canada. Our success over the last 40 years is attributed to our pride in what we do. Lopes was founded by Felix Lopes, Senior in 1976. A perfectionist and multi-talented tradesman, Felix, Sr. was also a team builder who recognized that quality products came from detail-oriented individuals who work together with a project goal. We believe in building a workforce that is dedicated to project completion. A family business from its founding days, Lopes has evolved over the last four decades to a full service fabrication and industrial services provider. We owe our success and reputation to our attitude of being an early adopter of technology and innovation. Today, Lopes is a leading company in its sector. We remain a family-business true to our original values of integrity. To nurture a culture and work environment that empowers staff and encourages personal and professional growth. To offer our clients superior service and expertise by creating custom solutions when faced with challenges. To operate in our community in a responsible manner by being a good neighbour, supportive, and respectful to the environment. Lopes is sincerely committed to its community and has a strong corporate social responsibility. Giving back to the community and nurturing meaningful initiatives is a very important part of our operation and commitment to being a good neighbour. We believe in grassroots giving, and supporting local initiatives with a particular focus that supports children, social welfare, and accessible health care. Continually supporting the trades in Northern Ontario, we nurture and develop our team members both personally and professionally, and are committed to steadily taking in co-op students and incubating apprentices. Our commitment to a strong workforce was recognized by Employment Ontario and the Ministry of Training, Colleges and Universities, by awarding Lopes the Minister’s Apprenticeship Employer Recognition Award in 2009. We’re truly grateful for the recognition from our community peers and believe in a strong Northern Ontario.